November 12, 2012 / P.J. (EDIT — Nov. 13 — Please read the poll question at the bottom. This is not asking you what your dream course if money were no object. It’s asking what your favorite course is of ones you’ve already played. Thanks). This week’s poll is a bit different. There are no choices with this one — it’s going to be based fully on your comments on this post. Hopefully the answers for this poll will give other players places to research and check out. Maybe there’s a hidden gem. Or one that is already well-known. Let me not get too far ahead of myself, however. 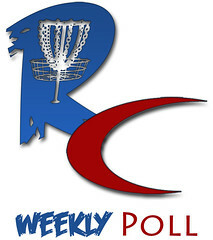 Before we get into this week’s poll, however, let’s go back and check out last week’s results. We asked you if you could only play one brand for the rest of time, what would it be? The results didn’t shock me as I figured the big two would be at the top and they were. With 179 people letting us know what they would do, Innova was the runaway winner with 79 votes — 44 percent. Discraft was second with 47 votes (26 percent). It dropped off even more after that as Latitude 64 (25 votes/14 percent), Discmania (10 votes/6 percent) and Vibram (7 votes/4 percent) followed. Other (4 votes/2 percent), MVP (3 votes/2 percent), Millennium (2 votes/1 percent), Lightning (1 vote/1 percent), DGA (1 vote/1 percent) and Gateway (0 votes) filled out the rest of the choices. I’ve always thrown Innova. I’ve tried a few Disccraft but never connected with them. Using only one brand is great for finding new discs though since I can just look at the new disc ratings and have a great idea how it will throw for me. This saves me money, which is always a good thing. That’s a good point to note — knowing the plastic and such makes it easier to adapt to new discs etc. I carry 4 brands in my bag now, but Innova seems to have the best disc rating system out of all the brands. It’s the most comprehensive, and very easy to understand. Because of that, I’d stick with Innova if I was forced to play with only one brand. And being one of the big dogs in the industry, it makes sense that Innova’s flight chart is one people can use easily. 1) the Buzzz is unparalleled. 2) my 150g Flick is the most versatile utility disc, period. I mystify people with what it can do. I think a lot of people would base their decision on things like this, too — that disc or two that you just couldn’t live without. I voted for Discmania, but this was a tough decision. I have ‘historically’ played almost all Discraft discs. Give me an XL, a buzz, and a challenger and I am good to go. But this year I discovered Discmania and love them. My bag is almost all Discmania, except for an XL. My only hesitation was because I have only one year of experience with Discmania versus over ten years with Discraft. Also, I think that there are some gaps in the Discmania lineup, like a more stable fairway driver, but they are a young company and I am confident that they will fill these gaps. I definitely figured a few people would go along the route of the newer companies and this shows how these companies are making big strides in the market. The Buzzz is always in my bag as well and it seems to be a disc that many people would not want to get rid of! Now let’s get back to this week’s poll. As noted before, you’ll have to answer in the comments section. Because we usually get way more voters than people commenting, this is more of a test run of this sort of poll — to see if it works or not! Hopefully, it does. In talking with many disc golfers, it’s amazing what they classify as their favorite course. It may be famous — such as a Maple Hill, DeLaveaga, or Flip City. Or, it may be a local course that is decently known. Beyond that, maybe it’s a hidden gem that the locals know about and only people who stumble upon the course will know about. 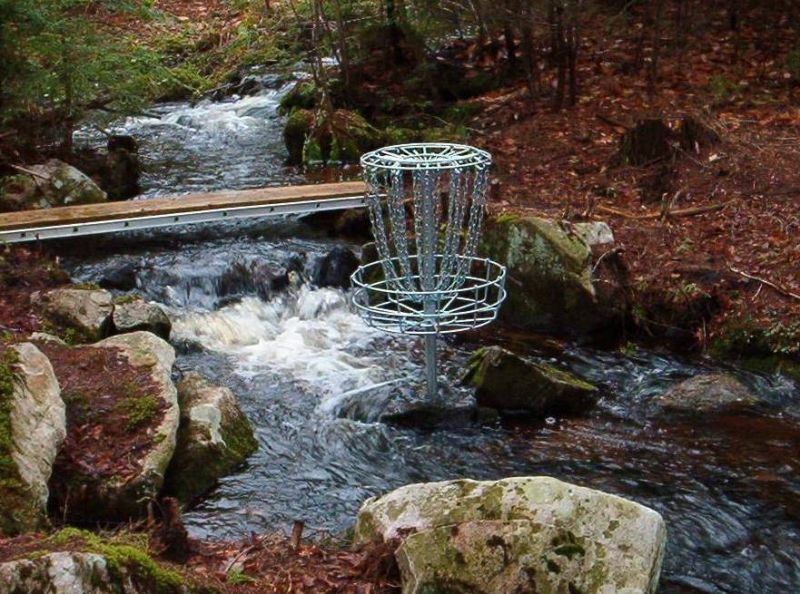 But we want to know what your favorite disc golf course is and why? Is it the layout? The amenities? The baskets? The people? Not everybody likes big-arm courses. Maybe your favorite is a small and compact wooded course that tests a golfer with not only his or her ability but with the mental aspect. Or maybe you have a course that is a perfect mix of woods and open holes, testing your arm as well as your finesse. It doesn’t matter if you’ve only played three or four courses or 1,000 — let us know that one favorite of yours. Drop a comment below and share these courses — and maybe help some people who want to find new great courses have a destination in mind when they plan a disc golf road trip! (Note that the poll system I use requires at least two poll options — hence why it’s set up the way it is). My favorite place to play would be Morley field in san diego. I havnt played there since 09 ( I live in Il.) but the atmosphere on that course is like no other. EVERYONE is friendly. Lost discs always returned. Pro shop on site. Garbage cans and benches on every hole. Monthly tournys. Also they have multiple pin locations on every hole that get changed every monday. Its a new course every week. Sure its pay to play but all the perks make it very much worth it. Check it if your in socal. My favorite course is at Recreation Park in Bryan, OH. It’s well-maintained and requires versatility to get a good score. Restroom facilities, water fountains, vending machines, and the atmosphere of a city park that the city puts effort into make it a great place to play. Not a lot of elevation changes, but NW Ohio is like that. Honorable mention to Thorpe Park in Flagstaff, AZ. My favorite courses are Circle C Metro Park @ Slaughter Creek and Roy G Guerrero DGC in Austin, Texas. Circle C: (Moderately Hilly & Wooded) – This was the first course I ever played (January 2012) and I shot a horrible +26, it is now my home course and one of my favorites. And oh by the way, I’m now hitting 0 to +5 consistently. It’s a good 2 mile course (1.5 – 2hrs) with slight elevation changes and challenges your accuracy with low canopies or branches and limbs reaching across fairways. I enjoy the variations in shots required and like playing solo or group rounds. Roy G Guerrero: (Mostly Flat & Moderately Wooded) – Like Circle C, this course challenges your technique and accuracy but to another degree. This course is nearly 3 miles long so pack plenty of water during the spring and summer months and don’t forget snacks, this course is no place for and empty stomach as it will take your focus off your game. Focus and stamina which is required with a course with 7 par 4’s (short boxes) from 630ft+ to 768ft or 831ft (from long boxes). I wish I could play this course more often but with the length and popularity, this course, even though in my hometown is a “destination” course that requires time and planning. If Circle C and Roy G got together and had a baby this is the cherub they’d create. Pack water and snacks, keep your discs on the fairway or beware the rough and watch out for those Texas Rattlers and Cacti. Enjoy. My favorite course that I have played would be Timber Ridge in Michigan. The course has been closed and i only had a few opportunities to play it.It was used in the 2008 worlds and was designed by Larry LaBond. it was an 18 hole course that was over 10,000 ft of throwing. It closed due to a lack of funding as it was a pay to play and in the middle of nowhere and a difficult course to play and traverse. blueberry hills 156 miles away why haven’t i played there yet…. I will this coming year. 700+ ft tunnel through giant old growth hardwoods was one of my favorite holes was almost like a wide open fairway but yet it was confined like you had entered an entirely different world. Birds of Paradise, Miranda, CA tops my list of 1023 courses played. Despite a long list of possible relative negatives (Natural tees, some are quite rough, no amenities, only playable on rare occasions) and I wouldn’t necessarily want it as my home course, BOP is the ultimate destination course. I could list a variety of descriptors like “Epic” or “Incredibly Awesome” but words don’t quite begin to describe the true beauty of this course. Nearly every hole out of 27 made my jaw drop, my heart rate increase, my camera finger get tired, and my score increase. This is the course that if making the trip is ever a slight possibility, do whatever you can to make it, sell your first born child, sacrifice a goat, or trade your soul to the devil, one round at BOP is worth it. I would have to vote for Birds Of Paridise neer Miranda, CA. This course has everything that other courses wish they could have. Views for miles, that will leave your jaw draging the ground. Every type of shot imaginable. From tightly wooded, to wide open. Shots that go to the left, right, straight ahead, and even multiple doglegs. Huge uphills and even bigger downhills. Water hazards. The course just keeps getting beter too. Every time I go down there I’m looking at a better course than the last time. I have to go with Flip City. I camped there for a couple of days this past summer, and the experience is unparalleled. Every hole could be a signature hole at another course, everything is beautifully maintained, and Bill is one of the nicest guys around. I haven’t had a chance to play many other “top courses” (though I do have plans to play Idlewild and Blue Ribbon Pines in the coming year,) but I have a hard time imaging a course better than Flip City, and I will take every chance I have to go back. Joseph Davis SP. It was the first course I played and over 5 years later I still play there at least once a week all year long. There is nothing particularly difficult in this fairly flat and mostly open course. This course is my home course so being the closest, only 10 minutes from my door, it is convenient. There’s 27 baskets so that’s a plus. There are 3 sets of tees; the whites are concrete. There are picnic tables and garbage cans on most holes. And I’ve gotten 4 of my 5 aces there. There there is Hawk’s Landing in Eden, NY. This is a private course with just about everything a course could have. The owner and designer made excellent use of the available property with 18 baskets. The course is fairly short but by no means necessarily easy. Its heavily wooded and every basket needs a different type of shot. To score well you have to play smart. Ace runs and birdie opportunities abound. But if you stray from the obvious fairways you could wind up in a jail of trees or in a pond or OB. there are 3 sets of tees, a mini course, and a full service pro shop. Excellent signs, and different colored fairway markers with the distance from the basket give the course a true professional feel. There are chairs or benches throughout the course and some garbage cans as well. There are also glow rounds on Friday nights. The owners Doug & Mary are some of the nicest people you’ll ever meet. For a nominal fee you can play all day. And at Hawk’s Landing the best is yet to come with plans for a longer more difficult 18 baskets in 2013. If only this course was a little closer to me. I recommend everyone making a trip to The International Disc Golf Center in Appling, GA. Three courses, Disc Golf Museum and Hall of Fame. It’s a must see for every disc golfer. Another great Georgia course is Flyboy Aviation in Whitesburg, GA.
For me personally, If money was not an option…I dream of playing the Jarva DG Park in Stockholm, Sweden. I have also yet to play West Coast disc golf and would love to add some of those courses (i.e Delaveaga disc golf course) to my disc golf resume. I think if money was no object, I’d have to say a course on the moon just so I could watch those discs fly forever!!! All kidding aside, I have to second Scdiscgolfer77 and say that I would road trip down to Appling, GA and play at the IDGC, they look saweet!! I live/used to live in Columbus and it is a joy to live there. The Brent Hambrick Memorial course is one of the top courses in Ohio hands down. Lobdell Reserve I believe is the biggest hidden gem in Ohio as it is out in the boonies. I think my favorite course of all time has to be the Am National Toboggan course up in Michigan. It features every shot you could dream of having to make up huge inclines. I was awe struck the first time I played the course. No, the question is “What is your favorite course.” It’s not asking about dream courses. Sloterpark is the bomb. I’ll play there every chance I get. My favourite course is in Hamar, Norway. I used to live near Hamar for 2 years and played alot there. It’s a (for me) big park with soccer fields, open areas and lots of trees. My favourite hole is on a thin small mound with trees on each side and the last time I played there I almost Aced on that hole. Mohawk DGC in Mohawk, IN (east of Indy) – Awesome private course with open holes, tight holes, interesting holes (basket on ground, basket on a 10-12 high huge stump, hanging basket over a small creek) right turns, left turns, island holes, baskets on hills, tees on hills. Long holes, short holes. Everything one wants in a course. Vista Del Camino – Arizona – This was the first REAL course I ever played. Got to play it right before the Memorial about 9-10 years ago. I had previously played some decent courses in Indiana, but nothing awesome. It was my first time seeing water on a course, real risk reward. I want to make it back again, but my sister no longer lives there. This is a tough one. I have had fun on every course that I have played on, even when I’ve played poorly, been rained on, etc. Clearly some courses are better than others. I’ll stick with deciding on the layout. Amenities are nice, but I can do without. Nice people can be found on any course; you just have to look for them. Nice baskets are a plus, but sometimes I end up concentrating better when playing to crappy baskets. I first played 2 years ago, but have only been “playing” for about a year and a half. In that time I’ve played 40 courses in 8 states. I looked back at my list to consider which courses are my favorites. I live in the Atlanta, GA area, and have played most of my local courses; my local favorite has to be East Roswell Park. It just never gets old. Looking past my local courses, several come quickly to mind: North Georgia Canopy Tours in Lula, GA (located on a zipline course), Steady Ed Headrick Memorial at the International Disc Golf Center in Appling, GA, Hogback Course at the Hippodrome Complex in North Augusta, SC (thank you, Killer B! ), Trophy Lakes on Johns Island, SC, University of North Carolina at Chapel Hill, NC (former ball golf course), and the Mount Airy Forest in Cincinnati, OH (prefer Skyline over Gold Star ANY day). My favorite course, without a doubt, is Idlewild in Burlington, KY. I played there twice this year. The first time I was turned away after 6 holes with 20-30 mph winds and rain that would not stop. When I returned it was to a crisp, cold, windless Sunday morning. I had the place to myself – for a while. This course is very difficult, but playable. There are more out-of-bounds areas than on any course I’ve played. The word humble comes to mind. At 24 holes, it’s long, but would still be long if you only played the “main 18.” The hole configurations are very different, and they make good use of the terrain and vegetation. There is less trash than I’ve seen on any course, save for the I.D.G.C., and it is meticulously maintained. This course is nothing shy of amazing. Having only had the chance to play up here in Ontario, Canada, my favourite course is a toss-up between Chicopee Ski hill and Toronto Island. Chicopee is very elevated on a ski hill with mostly long, wide-open fairways, while Toronto Island is flat and very technical, but not too short. I would have to say the lucky8, and crazy8 in West Virginia. They are Johnny Sias’s private courses, They have crazy elevation, Wild basket placements, and will crush your soul! It will require every shot in your bag, and then some! It’s set out in the deep woods, to where you are more likely to see a deer than a person! And if you call ahead, Johnny will more than likely meet up with you and give you the grand tour! Another bonus is that there are four more courses within 20 miles that are all super fun! As much as I’d love to be able to play the courses at the IDGC, the best course I’ve ever played just might be Mountain Crest at Las Vegas. The course was alright, but what made the course for me were the people. I played it on my own as a visitor to the city and while there, guys let me play through, I made some friends, and even got invited into some tournaments. It was memorable because of the people, not necessarily the course. I’ve played a few courses, some big ones and some obscure ones. And because most I’ve only been able to play once, I always come away wishing I could play them again. But if I have to answer “what’s been your favourite”, it would likely be Blue Ribbon Pines (which I would love to have in MY backyard!). If I had to choose one course to play for the rest of my life, it would be the one with the best amenities, the most holes, challenging and makeable, to keep me entertained trying to better myself and the course. And playing it in all seasons (Minnesota has four, unlike some places) would be part of the fun. in northern Delaware…..or on Maui at Poli Poli that course was the best course. started at 6500ft went to 7000ft then at end of 18 down to 4500ft. In Australia we have a distinct lack of courses in the ground. We just had our nationals event and this was played at was has been my favourite course to date. Drysdale Reserve Geelong, Victoria Australia. It is a Par 63 course, great variation in play. From short 70m downhill throws across a little valley, to a large 270m open yet difficult approach hole. Echoed by a variety of Australian players this course seems to be our best option for a championship course. And IF money were no object, well any course could benefit from that.. But getting permanent baskets in at a course like this would be great for the game both here in Australia and internationally. My favorite course has to be 1 of 3. Gateway Park in Ft. Worth, TX, Bicentennial DGC in Crowley, TX or William Cameron Park in Waco, Tx. Gateway is extremely technical and long, I love the difficulty factory. Bicentennial is my home course where I learned to play the game we all love. Also, it has long shots, short shots, technical shots, and you need pretty much most throws to get out of this course with a solid score. If you make it to Iowa, play the course at IHCC in Ottumwa. It has plenty of elevation changes, four shots over water, mowed green fairways, and it is loaded with flowers, shrubs, and blooming trees. Also play the main four courses in Des Moines that they used in the 2004 Worlds. Ewing Park eats my lunch every time. There is something there to challenge everybody’s style. My favorite place to play is at Horning’s Hideout in North Plains, Oregon. This place has it all. There are actually three courses on the property. The highlands course is a little pitch and putt course, full of ace runs, with only a few holes over 200 feet. The Canyon course is a pretty standard difficulty, par 56 course with plenty of elevation change. The last course is the Meadow Ridge course. This is a 5 star course and one of the most difficult courses in Oregon. Par 58 with enough elevation change to make you want an oxygen tank. If it sounds like too much disc golf for one day, that is no problem. They have camp sites that you can rent so you can play for days!